The thing with adoption is that we feel like we have to be excited about it all. It has to be successful or what does that mean about you as an adoptive parent or me as an adoption professional? If we hear someone talking real talk about what adoption can be like, we ignore them. That won’t be me/us/them, we think. So often couples start out with an idea of what adoption is. They find an agency/website/lawyer and throw themselves into the paperwork. They get busy making their profile book/site and sprucing up their home. It’s all public and community support and money in the beginning. That is the exciting part, the anticipation, but it’s actually only a fraction of the story. When a child comes home and the excitement is short-lived. The exciting part of romance is the chase; the marriage is longer and harder. It’s the same with parenting a child. Suddenly, adoptive parents realize they are Atlas holding up the world on their shoulders. Adoptive parents step into the middle of a child’s story and somehow manage to move forward. There can be strange demands and (false?) expectations. In no time at all, they need to be the expert on their new child, who they don’t know. Without formal education, they need to know what to do when the child is grieving, whatever he/she is grieving. They need to anticipate the child’s needs, when they just met. In short, adoptive parents have to be know-it-alls about adoption law, human growth and development, parenting a child (and doing it when the child has experienced trauma), grief, attachment, and their particular child, just to name a few. No biggie, right? Here’s the thing. Have you ever been around someone who knows everything? How do they make you feel? Do you honestly believe them? 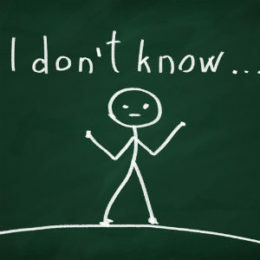 Personally, I don’t know what to do with people who know everything. Understanding them is beyond me. I’m not trying to be snarky either. I mean, I literally don’t know what to do. My mouth completely shuts down around them and I just hope to get away before I’m noticed. I feel like I have nothing to offer them, and why would I? They know everything. So, I sit there and try not to talk. Semantics matter to me and when you are talking to someone who knows everything, that is stifling. I can’t imagine having this type of requirement thrust upon me. To go from being simply excited to the expectations of being an expert on all things adoption, answering invasive questions about your child (you may have just met), and educating and advocating all while trying to transition to your new life has to be overwhelming. For anyone who has adopted and felt this way, and I suspect there are a lot, I feel for you deeply. What to do then? Is there an end-all be-all answer? Probably not. I guess, for my part, I would say don’t be afraid to not know things. Don’t be under the false impression that you have to know it all. Don’t get bullied into shame. This is too important for all of that. Allow yourself a margin for error. Know that screwing up at some point and in some way is inevitable and it’s okay. Grace covers that stuff. You don’t have to know it all. You have to know Who called you to this. Adoption is a calling, truly. Every calling is a pursuit by God of your heart and life to become more like Christ. That, right there, gives you permission to not know. It allows you time to stay home with your child and get to know him/her. It gives you the space to fail and the grace to cover it. That promise, He will do it, says nothing about you and your knowledge, but it says everything about your God. The funny thing is, I think He set it up this way. He doesn’t call us to what we can handle, He calls us to what He can handle. You have the absolute freedom to breakdown and freak out. You have an impossible calling (aren’t they all?) and your calling is about keeping a person alive and attaching to someone who has been denied their first mom (for whatever reason). How do you fix that? How do you compete with that? You don’t. He does. Just like your calling is impossible, it is not about the person you are in relationship with. You don’t have to, nor are you meant to, mend the broken heart. Your calling is to come after Jesus with all that you have and all that you are. If you hold the tender moments of a child in the process…If you love them well…If you parent from a place of compassion…If their heart attaches to yours as you follow God, that is just the icing on the cake. God, my friends, is the cake, and you are invited to His table and to stay for dessert.